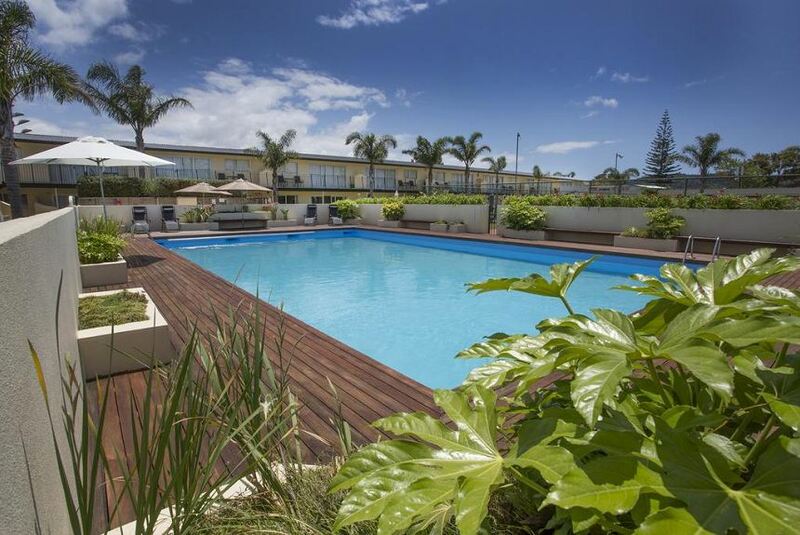 Centrally located in the heart of Whangamata, Palm Pacific Motel & Resort is an apartment complex with excellent facilities. Spacious modern 2-bedroom apartments set on a hectare of tropical landscaped grounds. Whangamata is a small coastal town which has sufficient choices for shopping all within easy walking distance of each other and our infamous Whangamata surf beach. You will love our apartment location... right in town... walk to cafés, shops, a beautiful golden-sand beach, movies and clubs. There's a children's playground right next door. Palm Pacific Motel & Resort, Whangamata has 27 self-contained apartments. Each apartment has full kitchen facilities with modern decor.